If Convicted Killers Can Get Bail, Why Not Undertrials? 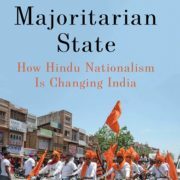 Montesquieu in The Spirit of the Laws wrote that ‘There is no greater tyranny than that which is perpetrated under the shield of the law and in the name of justice.’ This holds true especially in the context of 21st century India. 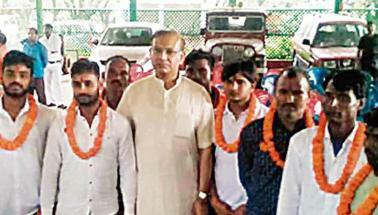 Jharkhand was recently in the news for all the wrong reasons, when Union Minister Jayant Sinha of the Bharatiya Janata Party, who also happens to be a Harvard graduate, felicitated and garlanded eight convicted murderers in a public ceremony. One can only wonder how eight ‘convicted’ murderers could get bail. What about undertrials, the majority of them Dalit and Adivasi, who have been languishing for years in Jharkhand’s jails? 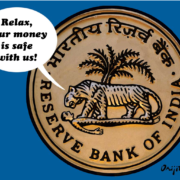 The present government has a peculiar penchant for arrest and bail. 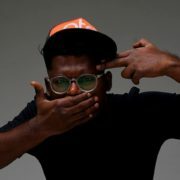 It has been a month since the brutal attack on noted social activist Swami Agnivesh in Jharkhand, with no arrests made so far. Whereas anyone who so much as whispers ‘The emperor wears no clothes’ is slapped with sedition. 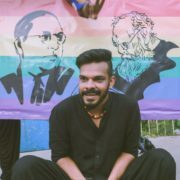 This includes 20 activists who have been holding the Jharkhand government to account for its various excesses, labour organisations protesting ‘amendments’ to land laws, and the huge number of Adivasis, Dalits and people from other backward classes who are trapped in false cases whenever they assert their constitutional rights. One of the major findings of a study of undertrials in Jharkhand highlights that Adivasis and Dalits branded as Naxals have been booked under the draconian Unlawful Activities Prevention Act and the major anti-state sections of the Indian Penal Code. The study examined 102 cases of people put behind bars for alleged links to Maoists. Only two of them accepted (to the interviewing research team) that they had relations with any of the Left-wing extremist groups. The rest asserted that they had been wrongly framed and arrested. Another study by the Bindrai Institute for Research Study and Action (BIRSA) on extremist activities in Jharkhand and their impact on civil society concluded that the number of undertrials in Jharkhand prison is steadily on the rise. In most cases the police has been unable even to complete the framing of charges against them. The problem of undertrials in not confined to Jharkhand alone. 67% of prisoners in India are undertrials — people not convicted of any crime and currently on trial in a court of law. However, according to the latest NCRB Prison Statistics 2015 Jharkhand has the fourth highest number of undertrials, who stay in some of the worst conditions. An alarming 77% of the Jharkhand prison population consists of undertrials, most of whom are Dalits, Adivasis and non-Hindus. The composition of undertrial prisoners stands at 29% Scheduled Tribes (STs), 32% Other Backward Castes (OBCs), 22% General Caste and 17% Scheduled Castes (SCs). STs constitute the highest number of prisoners (undertrials plus convicts) incarcerated in the various jails of Jharkhand. 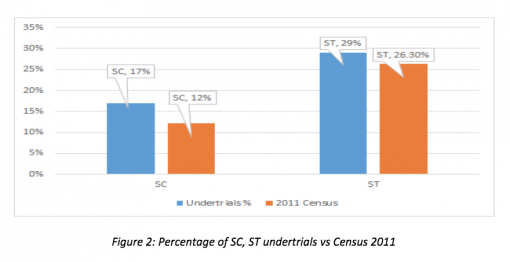 The proportion of ST and SC undertrials is higher than their respective share in the total population of the state. 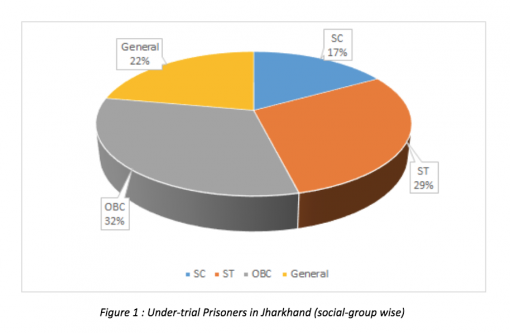 The proportion of SC and ST prisoners (46%) exceeds their share in the population of Jharkhand (38%). Demonstrated by both data and real situation in prisons, it is evident that the poor, disadvantaged and the neglected segments of the society who are unable to either secure the bail amount for release or are not aware of the legal provisions to avail the judicial remedy of seeking a bail. What they lack is political and social capital. Such long detention not only violates their right to liberty constitutionally guaranteed to every citizen, but also amounts to outright denial of human right of freedom of movement to the marginalised sections of the society. In West Singhbhum’s Chaibasa jail, 72 prisoners who faced a total of 108 cases were identified. The disposal of as many as 101 of the 108 cases were found held up due to some inordinate delay. 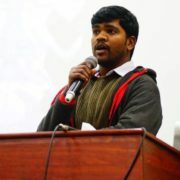 One can notice a double whammy of marginalisation and discrimination existing within the criminal justice system. 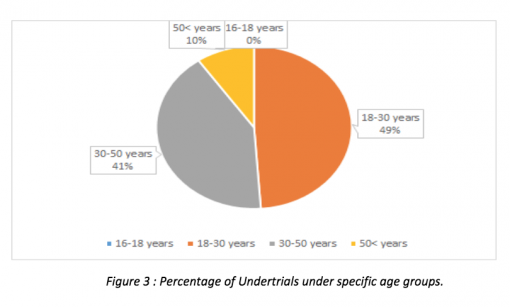 About 49% of undertrial prisoners, according to the latest available Prison Statistics, belong to the age-group of 18-30 years, the most productive years of one’s life. About 41% of them belong to 30-50 years, the most creative years of one’s life. By denying young offenders bail, the state is further victimising them as the best of their years are wasted, instead of being deployed in learning a skill which would help them survive the real world. 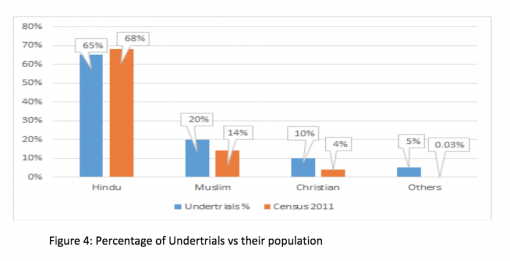 However, it’s not only Adivasis and Dalits, Muslims and Christians undertrials are also overrepresented in prisons across Jharkhand, when data from NCRB prison statistics is compared against their population in Jharkhand. Collectively, these two groups form a population of 19% with a share of 14.53% and 4.30% respectively according to 2011 census, but their share in prisoners, both convicted and undertrials is larger than their share in country's population. Moreover, what makes the entire situation worse is deplorable conditions of these prisons. Jharkhand has 29 jails across 24 districts. The number of inmates accommodated in jail against the authorized capacity of 100 inmates is 114. This means that jails are overcrowded and already meagre resources are shared amongst greater number of people. One of the primary reasons for overcrowding of prisons is the pendency of court cases. Additionally, Jharkhand has the least number of prison staff. According to Prison Statistics 2015, the highest number of inmates per prison staff was reported from Jharkhand. Understaffing and overcrowding goes hand in hand in Jharkhand prisons. Despite Supreme Court’s order on conducting speedy trials , Jharkhand seems in no hurry to act. States have the primary role, responsibility and authority to change current prison laws, rules and regulations. The state must bring back its focus on the cardinal principle of criminal law in India where bail is the rule and jail the exception! 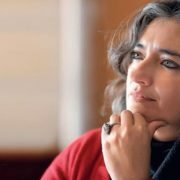 Sania Mariam is an associate consultant with the Policy & Development Advisory Group.